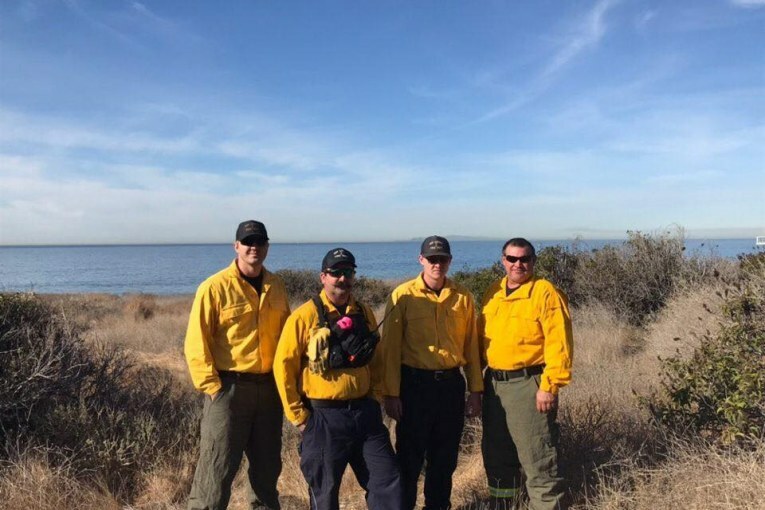 Firefighters spent a week assisting local firefighters and residents recovering from the Woolsey Fire near Los Angeles. Exactly one week ago, Texas answered California’s call for help, dispatching some 250 firefighters and support personnel, along with over 50 Fire Engines. The crews were originally expected to stay for up to two weeks, but after a week of steady progress they were released to return home. New Waverly Firefighters were asked to stand by this morning for possible deployment to other fires, but California officials released them this afternoon and they will rest overnight in the Phoenix area and are expected to be home by Wednesday. Texas Firefighters were assigned a number of essential tasks, giving overworked local crews a break. New Waverly E-72 and its crew of four were assigned to patrol firelines and extinguish hot spots to guard against flare ups, a common hazard on large wildfires. 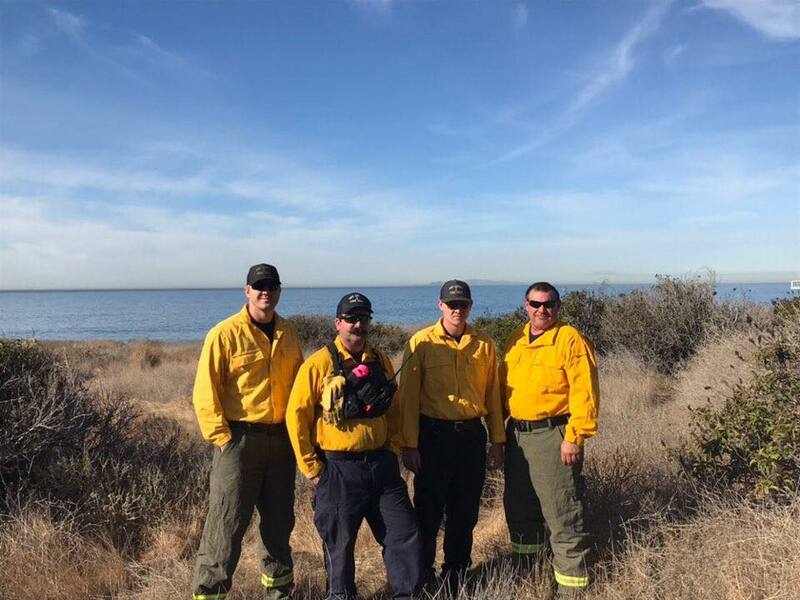 The crew from New Waverly hiked the hills around Malibu and Thousand Oaks, initially in 24 hour shifts, “spiking out” or camping near the fire lines. Later in the week as conditions improved, they were assigned to 12 hour shifts. While much of their time was spent in remote areas, local crews did make their way into more populous areas and even managed to make a few new friends. The crew from New Waverly met an Aggie family, originally from the Conroe area. They had moved to the Liberty Canyon area and were forced to flee for their lives as the fire approached. The family’s home was spared, but many others in the area could not be saved. North Montgomery County Firefighters also interacted with local residents, at one point taking time to cheer up some neighborhood children by letting them spray water from their fire hoses. The firefighters had been called in to extinguish the smoldering community playground after it was burned by the fire. 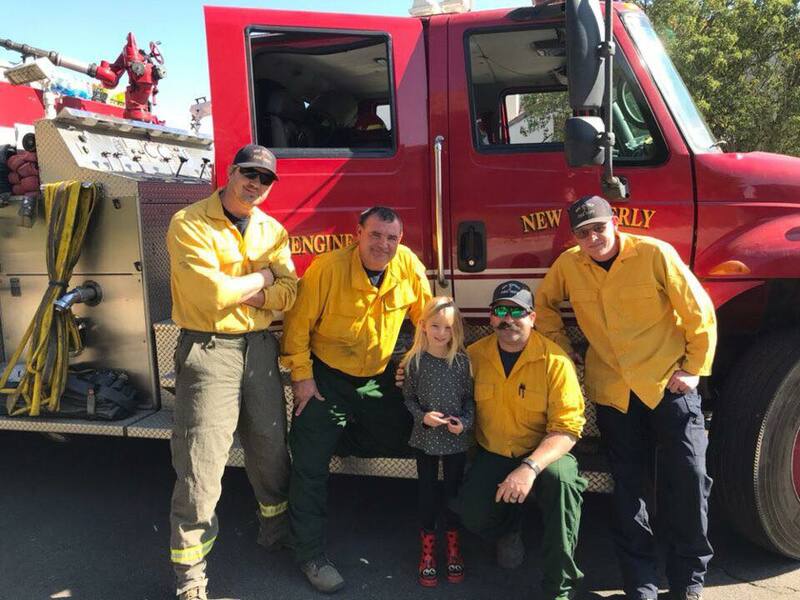 Over the weekend, North Montgomery County Firefighters were even assigned to accompany Los Angeles Firefighters on a public information/education event as they met with local residents affected by the fire. Who pays for these deployments? The crews dispatched to California will be fully reimbursed through state and federal funds. The experience gained will benefit Texas as the deployed firefighters will gain valuable experience that they can bring back home. Some local residents have asked how to help out and some have even started fundraising efforts. While New Waverly Fire Chief Jacob Slott is aware of at least one or two such efforts in the area, he confirmed that the department’s costs will be covered by the State and no local funding is required. Chief Slott encouraged residents wanting to help to donate to local groups on the ground in California actively assisted those affected by the fire. The Chief stated that while Firefighters appreciate the community’s support, the department is not soliciting any donations to support the deployment. He went on to say that should the department receive any funds through social media fundraising efforts, it would be sent where it is needed most, to those that have lost everything to these devastating wildfires. There are numerous local, state and federal agencies assisting in the recovery, as well as numerous non-profit organizations. Next : Another great Pct. 4 Safe Shopper Program story!